Possibly demolished in the late 1950's. 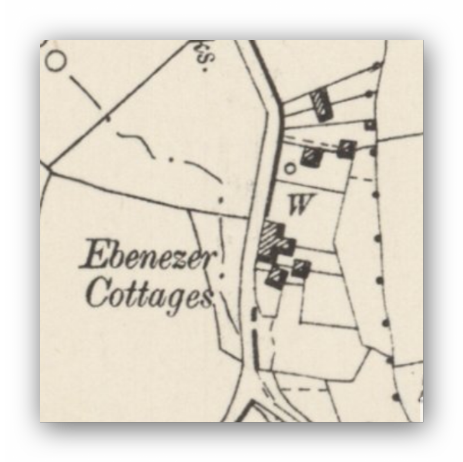 Does anyone have any information on these cottages? The name suggest a religious overtone, http://biblehub.com /topical/e/ebenezer.htm (Opens in a new window). I am unable to find any written documentation about the cottages but their demise may have been caused in two ways. 1. 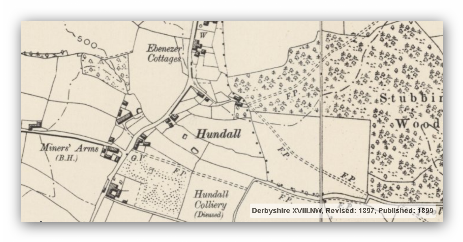 The cottages are built prior to 1888 and in an area which was being mined for ironstone and coal and I would suggest they were built to house the workers or even the management of these small mines. They may have been quite simple dwellings, single brick or stone walls, poor sanitation with earth middens and water from a well. The mines are worked out quite early here and by the 20th century would have been unfit for human habitation by modern standards. 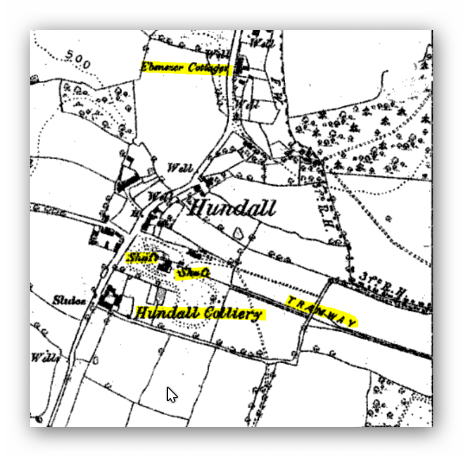 Several later mining communities were condemned by the local council and demolished in the name of progress. It may be that these were deemed unfit for human habitation by virtue of their simple construction and demolished to make way for an improvement. 2. 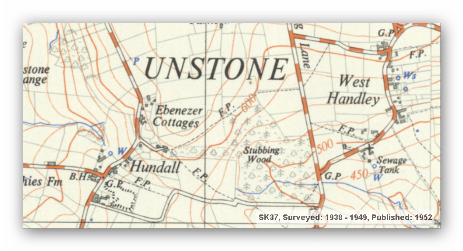 The cottages were vacated some time after the mines shut as their occupants moved on and they went into dereliction and the land was sold, cleared and later developed. If I was to put any money on the subject it would be on number one as this is the most common occurrence with old properties. The properties may pre date mining operations but in the same way may have been demolished due to their poor construction, ie not fit for human habitation (a modern definition).